The number of opponents of Sweden's accession to NATO has grown by four percent in comparison with the previous year's figures, while less than a half of Swedish respondents believe that the alliance will help the country if necessary, local media reported citing a new poll. According to a poll commissioned by the Ipsos Institute for the Study of Public Opinion in early December 2017, resistance to Sweden's NATO membership increased from 40 to 44% compared to the last year. The Swedish newspaper Dagens Nyheter reported the Swedish people increasingly oppose NATO membership, thus supporting the government line led by Stefan Leuven of non-joining the alliance. "Many people seem to think, rather, that we do not need to join because NATO will come to help us in any way. 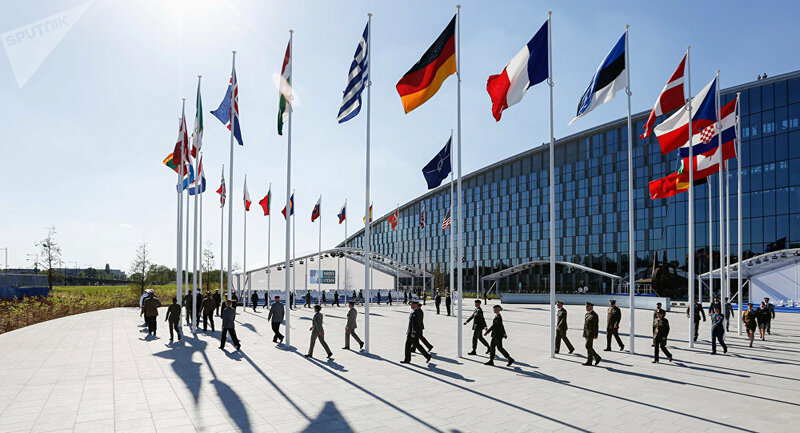 This is an interesting, new understanding of the issue of attitude towards NATO," David Alin, an analyst at the Ipsos Institute, was quoted by the newspaper as commenting on the research. Yet, Swe warmongers optimist because public confidence on Swe armed forces "increased" from "0"("uselt") to "very low"
​The majority of respondents (51%) also admitted that they have little confidence in the ability of the Swedish Armed Forces to defend the country. At the same time, the number of anti-NATO responses on this issue has still decreased compared to the previous year, when there were 66% who reported feeling skeptical. In 1949 Sweden chose not to join NATO after the creation of the bloc. Since the 1990s there have been some debates in Sweden on the question of joining NATO. Currently, Sweden is closely cooperating with NATO member countries. In 2011, Swedish aircraft Gripen participated in a NATO operation in Libya. The most extensive drills in the last 23 years, "Aurora-2017", took place in Sweden with the participation of NATO countries. 19 thousand Swedish soldiers, as well as 1,435 soldiers from the United States, participated in the drills.